At Freedom Home Care, we’ve heard if we eat our carrots we’ll have great vision, but has anyone told you to eat your spinach for the same results? Sure, we associate the leafy green with strong PopEye muscles, but in a recent study done by a team at Qingdao University Medical College in China, it turns out that maybe spinach has been the answer to our vision problems all along. The study, involving nearly a quarter of a million people, found that foods that are rich in vitamin E, like spinach, seed and broccoli, are incredibly beneficial for the health of your peepers. In fact, they found that increases your vitamin E intake can reduce your risk of age-related cataracts by 27 percent. You should be getting about 12 mg of vitamin E every day, but if you really want to go above and beyond 14 mg is a good place to start. But why stop there? Dr. Garth Webb has a little something for you that will make a big difference, especially if you already have cataracts or severe vision problems. Nearly half of Americans will have cataracts by the time they reach 80 and a staggering over 400,000 cataract surgeries are performed each year. Dr. Webb, after years of research and about 3 million dollars in funding, has created a bionic contact lens, and it might make cataracts ancient history. The bionic lenses make it so that the wearer will never get cataracts. The lens is comfortable and doesn’t cause eye strain and, amazingly, you’ll be able to see better than 20/20. In fact, you will actually be seeing 3 times better than 20/20. To put that into perspective, imagine you’re able to read a sign from 50 ft. away. Now, imagine being able to read that same sign with the same ease and clarity from 150 ft. away. Pretty cool, right? The lenses, called Ocumetics Bionic Lenses, aren’t available yet, but they will be in 2017. These bionic lenses would be surgically implanted via a saline filled syringe. Apparently, it is in the same pain threshold as having standard cataract surgery and takes about the same amount of time, around 8 minutes. 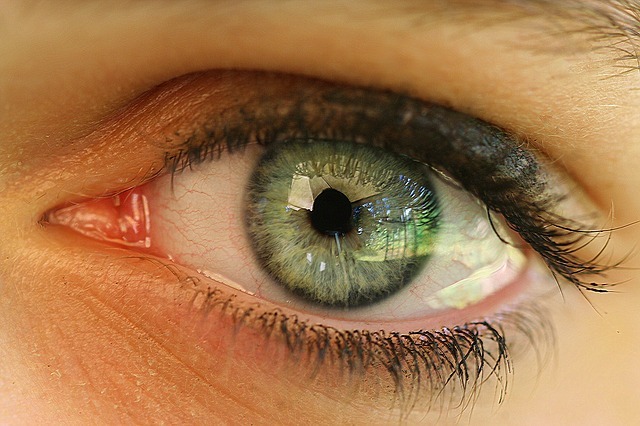 The lens itself only take roughly 10 seconds to unravel itself on your eye. Once they’ve been implanted you’ll never have to worry about your vision or cataracts again. Welcome to the future ladies and gentlemen.